The biological definition of adaptation is the process of an organism changing in order to better its chances of survival in its environment. From microorganisms to Homo sapiens, the ability to change is paramount to continued existence; a truth which precedes even Darwin’s famed observation of natural selection. 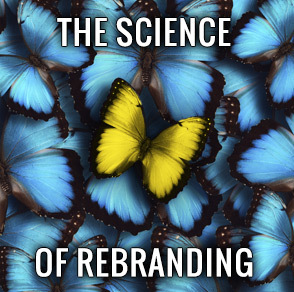 In business, the same principle exists in the common and arguably necessary act of rebranding. In today’s capitalistic socio-economic structure, a business is considered an individual, so it stands to reason that in order to survive and flourish, a business must adapt to its competitive landscape just as any other species must. Biologist Julian Huxley said, “The significance of an adaptation can only be understood in relation to the total biology of the species.” This statement can be directly paralleled in business by considering that any change made to the marketing strategy of a company is only significant relative to the existing image and history of the company. For example, if a large corporation changes their logo based on their unique market research, it is not an indication that any other business should change theirs. In nature, if a land mammal adapts to an increasingly cold climate by developing a thick coat of fur, a bird in the same geographic location won’t grow fur, but it may adapt by adopting a new migratory pattern. In comparison, if a business of your same size in your same area has made a change and is now attracting more customers, it might be time for you to make a change too; not the same change, but one which showcases <i>your</i> unique strengths. Part of adaptation is phasing out things that are no longer useful or beneficial to a species. An example if this is wisdom teeth in humans, which served a purpose to our ancestors, but no longer do; resulting in their common removal. In order to determine what changes need to be made in your company, it’s necessary to examine every detail of your business’ existing structure, marketing strategy, company culture, and history. Looking inward and establishing what elements of your brand identity are dated, not lucrative, or otherwise unnecessary is a good place to start. By eliminating them you’ll allow yourself a clean slate on which to build a whole new image for your business. While looking inward is a good place to start, examining customer behavior is equally valuable. It’s important to remember that both in nature and in business, all levels of the “food chain” continue to adapt, so if the climate grows colder and the gazelle grows a thicker hide, the tiger must in turn grow sharper teeth. If consumers have adapted to their increasingly busy lifestyles by making purchases on mobile devices, retailers must subsequently offer responsive sites that facilitate this, or risk extinction in search engine algorithm updates like the recent “mobilegeddon”. In nature, predators carefully study their prey’s behavioral patterns, while in business we have the unique ability to simply ask. Utilizing social media and focus groups to derive input and opinions from your target demographic is an invaluable, and surprisingly easy way to gain inspiration for your rebranding campaign. In ecology, a niche is the unique adaptations of an organism to a set of specific environmental conditions including resources and competitors. For example, if a beetle lives in an area with two types of ferns and an ant is eating one type of fern, the beetle must either choose to eat the remaining type of fern, or find a more efficient way of eating the ant’s fern. Businesses develop and capitalize on niches for the same reasons, and in surprisingly similar ways, especially in terms of natural resources. If business exists in an area where oranges are prevalent, they must either market their oranges in a way that makes them seem preferable to their competitors’ oranges, or they must do something that differs from what their competitors are doing. It’s not enough to say “We Make the BEST Orange Juice”, “best” is subjective and thusly meaningless. A successful business will instead go above and beyond, marketing with a combination of quantitative and qualitative information such as: “We Make the ONLY Organic Orange Juice in the State!”. By being different and focusing on a trait your competitor lacks, you gain the advantage, and in turn, some of (or all of) your competitors business. As times, trends, standards, and all other factors of culture change, so must your business. Think of three businesses which have been around for over 50 years, then think of the times they have changed, updated, and transformed to reflect the style of the times. Iconic brands like Coca Cola, McDonalds, and Ford are constantly adapting, modernizing, and finding new and innovative ways to attract customers. The reason for their success is their ability to change at a moment’s notice, combining the elements that have given them success with new, unique marketing campaigns that leave their competitors in the dust. With a combination of competitive research, purging things that don’t work, learning about your customers, and focusing on your niche, rebranding could move your business to the top of the food chain. Like anything worth doing, rebranding takes hard work, but remember, even the king of the jungle has to hunt for his dinner!